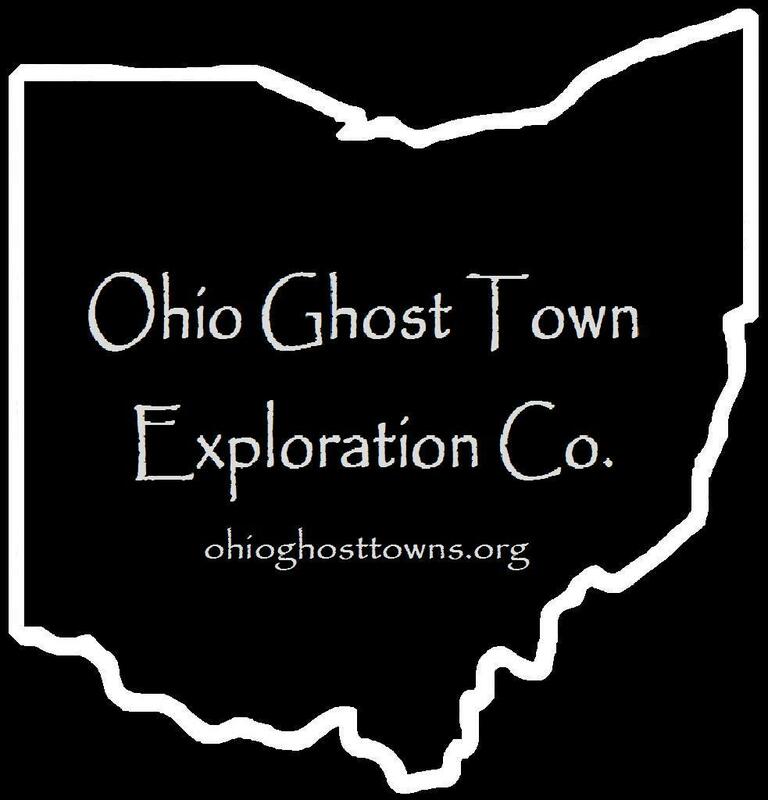 Champaign County – Ohio Ghost Town Exploration Co.
Ohio Ghost Town Exploration Co.
We research & explore the coolest ghost towns & historic locations in Ohio! Description: It was founded by a branch of the Baker family in the township & just had the post office & a small cluster of houses. Description: The earliest known settlement was by William Pickerell who built a grist mill on the stream leading out of the lake in 1803. James Glendening (1795 – 1876) & Mary (Van Horn) Glendening (1793 – 1858) moved to Ohio from Virginia in 1829. Shortly after that, they purchased 155 acres surrounding Brush Lake. James & Mary had 12 children in total. 8 of them survived to adulthood. Brush Lake was a fine farming town but didn’t have much else other than a local township school & a picnic ground south of the lake across the former railroad tracks. It was on the Pan Handle Route of the Pennsylvania Railroad (PCC & St. L) but was likely just a flag stop. James & Mary were buried with relatives in Black Cemetery on the north side of Dunn Burton Rd. Description: Its only notoriety was from a brutal brawl between Solomon Weaver & Philip Groves, due to a sort of Romeo & Juliet type of relationship between their children. Solomon’s oldest daughter Anna was 18 at the time & was courted by one of Philip’s sons, James Groves. The fathers didn’t care for each other at all, simply because of where they lived, the Groves family on Clover Run & the Weaver family on the Darby Plains. They had an encounter at William Kelly’s tavern in Mechanicsburg where an election was being held on November 8, 1837. After getting into a heated argument, William, who was also the constable, suggested they duke it out. The fight lasted about an hour with both men sustaining substantial wounds. The onlooking crowd feared them dead as they laid on the ground & neither could move a muscle. Solomon & Philip were treated by doctors & eventually recovered. They later made amends & gave consent to the courtship between their children. Description: Eliza J. Coffin donated land for a train station on the Ohio Southern Railroad. Description: The town was originally settled in the first decade of the 1800s & had several grist & saw mills on Mad River & Muddy Creek over the decades. They were mostly built by the Arrowsmith & Kenton families. Mason Arrowsmith (1806 – 1880) provided a lengthy description of the area’s early days for the 1872 History Of Champaign And Logan Counties. His maternal grandfather, William Kenton (1737 – 1822), also lived in Concord Mills & was a brother of famed frontiersman & war veteran Simon Kenton (1755 – 1836). Simon saved the settlers of Concord Mills from complete annihilation by local natives, led by Shawnee Chief Tecumseh, when Mason was just 6 weeks old. Simon’s appearance & warning to the natives deterred them from attacking. Mason was buried with many relatives in Kenton Memorial Cemetery. Description: Crimville was named after John Crim who operated a store in the northwest corner of Goshen Township. A Methodist Episcopal Church stood at Treacle Cemetery & a mill across the street along Treacle Creek was owned by the Woodward family. It was discontinued in the late 1870s, sold in 1883, & was moved & converted to a barn. The chruch, cemetery, & mill all predated the town. Crimville only had a few residences but made it onto some maps in the early 1900’s. Description: It was founded by James Dallas (1778 – 1871) from Ireland & Isabella (Sproat) Dallas (1788 – 1843) who had 9 children & a nice farm. They moved to the county around 1810. James was a judge & county commissioner. The town had a school & harness shop. The Atlantic & Great Western Railroad went through Dallas but it didn’t have a train station. James & Isabella were buried with relatives in Oak Dale Cemetery on Patrick Ave in Urbana. Description: The town was founded by Daniel Funk (1786 – 1879) & Frances (Kenaga) Funk (1784 – 1867) who moved to Ohio from Pennsylvania in 1837 & had 3 children. The section of US 68 where the town stood used to be the southern portion of Funk Rd. It was a good farming town but didn’t have any other big industries & fell off the maps before 1900 as it couldn’t keep up with Kingscreek. Daniel & Frances were buried with relatives in Oak Dale Cemetery on Patrick Ave in Urbana. Description: It was named after the Fyffe family in the county. Description: It was stated in the 1917 History Of Champaign County that the name of the pioneer who founded the town had been lost to time. Gourdville never had more than 3 houses & wasn’t incorporated. Its last known residents were James Blue & Tubal Woodard (1806 – 1881) & Margaret (Salkeld) Woodard (1813 – 1896). The Woodards were buried in Concord Cemetery at the intersection of SR 560 & Church Rd, but its existence isn’t attributed to Gourdville. Description: This farming & railroad village was founded by Henry Hagenbuch (1811 – 1881) from Pennsylvania & Martha (Long) Hagenbuch (1827 – 1887) from Champaign County. Their surname if of Dutch origin & was Americanized at some point in the late 1800s. The town had a train station on the Columbus, Piqua, & Indiana Railroad, some fish stock ponds, a stone quarry, & a school (Salem Twp Sub District #1). The school is currently a private residence on SR 296 just east of the former railroad track bed. Henry & Martha had a few children & were buried with relatives in Oak Dale Cemetery on Patrick Ave in Urbana. Description: It was listed in volume 1 of the 1917 county history book on page 1118 as a former town. Description: John Heath (1821 – 1887) was born in New Hampshire, moved to Ohio from New Jersey around 1838, & founded the Heathtown. He ran a shoe shop, grocery store, & opened a post office at the store called Muddy Creek. Heathtown also had a blacksmith shop. John moved to Iowa in 1854. A political movement by a group of local successful farmers called the Know – Nothing Party was established in Heathtown & had its headquarters there. Heathtown was last listed on the 1894 Champaign County map, but didn’t exist for much longer after that. Description: Jennings Park appears to be more of a cultural locale than a town, but was considered to be a populated place for describing where residents lived & giving travel directions. Edward Jennings (1811 – 1906) from West Virginia & Anna (Bentley) Jennings (1823 – 1890) from Highland County, Ohio had 6 children. One of their sons, Absolom C. Jennings (1847 – 1883) owned the Nutwood Place farm along the Sandusky, Cincinnati, & Dayton Railroad. The farm dates back to 1815 & was added to the National Register Of Historic Places in 1976. Edward & Absalom were avid horse breeders & had a training & race track on the north side of the farmhouse. The portion of the farm where the track was is now on the airport grounds. Description: Prior to the arrival of the railroad in the area & the marriage of Henry & Martha (Long) Hagenbuch, the town was called Long. Martha’s parents James Long (1794 – 1862) from Pennsylvania & Susannah (Cheney) Long (1803 – 1887) from West Virginia owned the local stone quarry. Her brother, William Cheney Long (1834 – 1896), was a farmer & township trustee. He donated land for the former school on SR 296. The Longs were buried in Kingscreek Cemetery at the intersection of Kingscreek Rd & Clark Rd. Description: It was a small farming & postal town founded by David Mahan (1851 – 1904) & Laura (Smoot) Mahan (1855 – 1915). David was the postmaster & received $15 a year for his service. His father Jason ran a saw mill on the family property that was marked on the Johnson Township page in the 1874 county atlas. Lookout also has a one-room schoolhouse on the east side of Elm Tree Rd south of the post office. The Mahans were buried in Rosedale Cemetery on the west side of SR 235 in Adams Township, Champaign County. Description: Magrew was the name of the train station on the southeast outskirts of Westville. Lemuel Magrew (1829 – 1900) & Zalinda (Miller) Magrew (1828 – 1898) had 6 children, a 195 acre farm, & donated land for the station on the Pennsylvania Railroad. Lemuel’s grandparents Archibald Magrew & Ruth (Miller) Magrew moved to Ohio from Pennsylvania & platted Westville in 1815, naming it after the areas first settler, Basil West. Lemuel & Zalinda were buried with relatives in Oak Dale Cemetery on Patrick Ave in Urbana. Description: Nettleton had a blacksmith shop and a couple of mills next to Nettle Creek owned by the Wiant (Wyant) family. The Myrtle Tree congregation was formed in 1830. Its present church was constructed in 1881. Many members of the Wiant family were buried in the cemetery along with other early pioneers & later residents. Description: Old Pimtown was a small farming town with a grist mill next to Mad River. Samuel Taylor owned most of the land in the area. He was married 3 times & had 7 children. The Big Four Railroad went through town but it didn’t have a train station there. Railroad tracks still run through that part of Champaign County & have since been rerouted to the west side of Mad River. The river was dredged in 1910 – 1912 to reduce flooding & caused the farmland values along it to skyrocket. As a consequence, farm wells went dry & had to be dug deeper. Mad River had to be re-dredged after the Great Flood Of 1913. The process was completed in 1916. Description: This farming town is a bit of a mystery & there wasn’t any references to it in the old history books. According to the maps, D.W. Proctor was the proprietor & owned a few sections of land in the area. Description: The town was founded by Daniel Rohrer (1810 – 1847) from Pennsylvania & Sarah (Loudenback) Rohrer Snyder (1814 – 1874) born in Champaign County. Daniel walked from his home state to Champaign while seeking land to invest in. He walked back to Pennsylvania to gather some personal belongings & returned again on foot to Champaign in the early 1830s. The walking was all done in an effort to save money. Daniel built a grist mill & distillery next to Mad River. While nearly monetarily exhausted, Daniel secured a $2,000 loan to complete the mill. He married Sarah in 1834. They had 4 children with one dying in infancy. The mill & distillery were very lucrative enterprises. The loan was paid back within 15 years & the family amassed a fortune of around $45,000. The town also had a general store & a school on land donated by the Rohrers. It was at the bend in River Rd heading north to Stickley Rd. Sarah remarried after Daniel passed away but they were buried together with relatives in Nettle Creek Cemetery at the intersection of SR 560 & Nettlecreek Rd. Description: The original town proprietors were Alexander Vance (1811 – 1889) & Mary (Ward) Vance (1818 – 1906). Alexander was a son of Joseph Vance, the 13th Governor Of Ohio & was born on his parents land known as the Governor Vance Farm. He inherited a grist mill on the farm along Kings Creek just south of the GPS coordinates & later added a saw mill. The family donated land for tracks on the Sandusky, Dayton, & Cincinnati Railroad (bought by the Big Four) & the town had a school on the south side of SR 296 east of the railroad. Alexander & Mary had 12 children & sold the farm in 1859 & moved to Urbana. The mills were destroyed in a fire in 1879. Alexander & Mary were buried with relatives in Oak Dale Cemetery on Patrick Ave in Urbana. Description: Orsamus Scott made a plat recording in Section 20 & a few houses were built on the lots, but the town never grew any & quickly faded away. Description: Sodom was a small farming town & had a grange hall. The former school has been restored & is now a private residence. Sodom – Clark Cemetery started out on a farm owned by James Clark (1775 – 1862) & Martha (Davis) Clark (1782) – 1868). Many of the headstones have been lost to time. Description: The town was founded by David Steinberger (1800 – 1883) & Elizabeth (Pence) Steinberger (1804 – 1834). They were married in 1821, moved to Ohio from Virginia, & had 7 children. David built a grist mill, saw mill, & a whiskey distillery on their farm next to Mad River. After Elizabeth passed away, he married Lucy (Gaines) Steinberger (1813 – 1900) & had 8 more children. A shoe shop was on the northeast side of the intersection of SR 55 & Bair Rd & a school at the intersection of SR 55 & SR 560 was also used for elections. David, Elizabeth, & Lucy were buried with relatives in Nettle Creek Cemetery on SR 560 at Nettlecreek Rd. The Steinberger surname is of German origin with alternative spellings of Steinbarger & Steenbarger. Description: This small hamlet was platted on land owned by the Stuzman family which was related by marriage to the Kanagy family. Their alternative surname spellings are Kanaga & Kenaga. Residents were buried in Oak Grove Cemetery east of town on N Ludlow Rd between E Kanagy Rd & Sibley Rd.